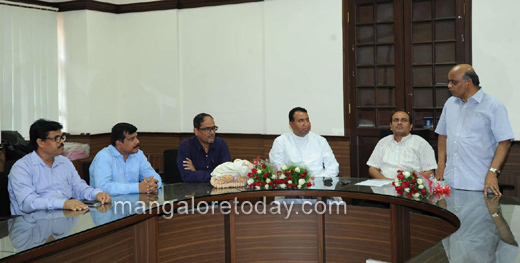 Mangaluru, Apr 17, 2017: Rev.Fr. 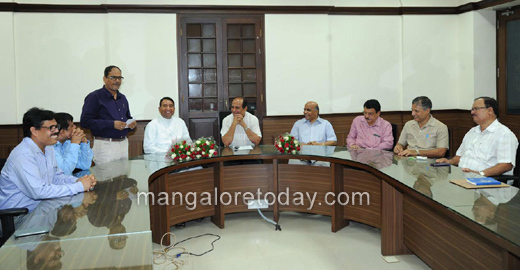 Dr Praveen Martis has assumed charge as the new Principal in place of Rev.Fr.Swebert D’Silva who has attained superannuation. Hailing from Shankarapura, Udupi Fr Praveen Martis had his degree education at St Aloysius College and postgraduate degree from St Joseph’s College, Bengaluru. Later he obtained his Ph.D degree from Namur University, Belgium on the thesis, “Multiwalled Carbon Nanotubes: Decorated with metal Nanocrystals and incorporated into metal matrices”. 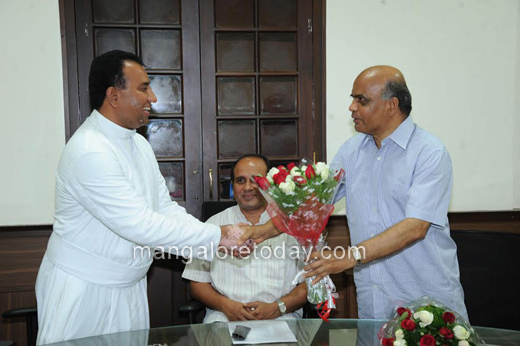 He was appointed Principal, St Joseph’s college, Bangalore in 2013. 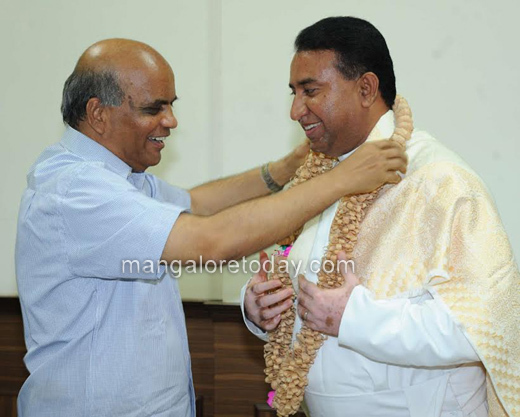 Later in 2015 he was transferred to St Aloysius College, Mangalore. He has wide administrative experience as he assumed several administrative assignments in the last 10years. 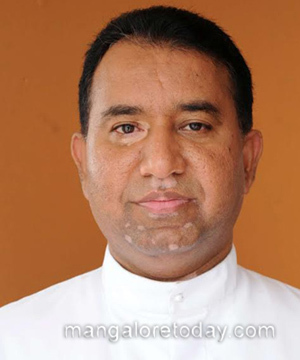 Rev.Fr.Praveen Martis is considered to be an outstanding researcher. He has already published more than 12 papers at the international level. He has made presentation at several national and international level conference and seminars. He has to his credit more than 15 visits to international universities. St Aloysius College has made tremendous progress in the last 10 years after becoming an autonomous college. Friends and well-wishers feel that the college will make further progress under the able leadership of Rev.Dr Praveen Martis.